Funded by money from income tax returns, a Florida company quickly grows into a successful international business. These cases and display areas were designed by ARTCO with a “Pirate/Caribbean” look as part of a 3,500-square-foot theme store in St. Thomas. Although the IRS is seldom associated with providing happy results, in 1985 it inadvertently helped create a thriving business for two Florida residents. That’s the year when Dan Romeu and Manuel Romero decided to pool the money they received from their income tax returns to cover start-up expenses for a new store fixtures business. Seven years later their company, ARTCO Group in Miami, has grown to multi-million-dollar proportions. FYI: ARTCO is the only company outside the trade to be accepted into the International Association of Duty-Free Shops. • The company builds water-resistant fixtures for stores in hurricane-prone areas of the country. Romeu came to the United States from Cuba in 1967 to study architecture, living with his parents in New York City. He moved to Miami in 1982 and worked as a draftsman for a store display company, eventually heading up sales and development. Romero, too, came to the U.S. from Cuba, where he had been a professor. When he first arrived in Miami, he worked as an apprentice in a furniture manufacturing company to learn that trade. Romeu and Romero met while working together on a project installation, and gradually they formed the idea of starting their own company to supply fixtures. Three years after they went on their own, they expanded by bringing in Luis Victoria as a partner. His expertise was in architecture with a specialization in design, planning and manufacturing. For the first several years, revenues came from just one customer. But eventually, the owners decided to add a sales force and get additional clients. Today the company has a worldwide clientele with a strong presence in the Western hemisphere, including Canada, the United States, the Caribbean and South America. For the past four years, it has been specializing in providing a turn-key operation (planning and design, manufacturing, shipping and installation) for high-end jewelry stores and duty-free shops. It grossed $5.6 million in 2001. In developing its specialization in jewelry stores and duty-free shops, ARTCO developed a strong working relationship with almost all of the major watch companies, including Rolex and trendy Techno Marine. Techno Marine is known for diamond-encrusted dive watches that retail for several thousand dollars (Jennifer Lopez once wore one to an Academy Awards presentation). 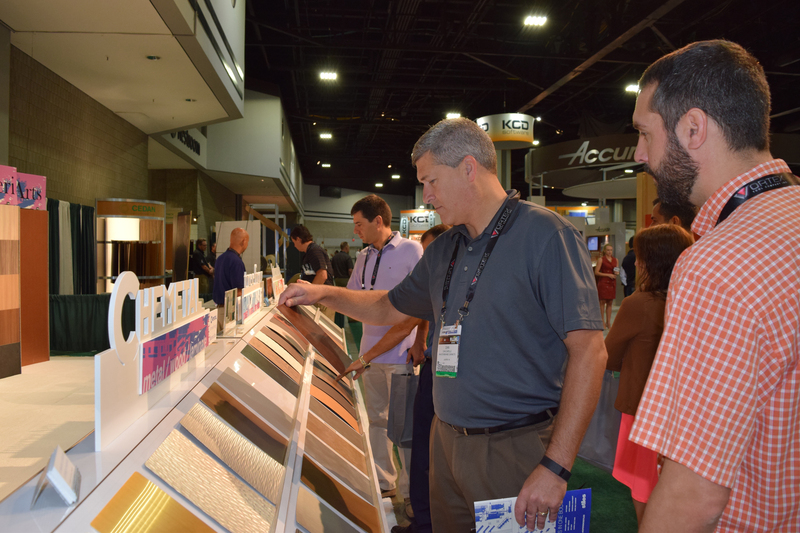 ARTCO’s designers recently created an eye-catching trade show booth display for Techno Marine, featuring a special paper with a view of the ocean floor laminated to the outside of the cabinets. “The company wanted to get people’s attention, and they knew that our designers could create a display that would do just that,” says Mickey MiÃÆÃÂ±agorri, ARTCO’s director of business development. ARTCO also works closely with related vendors in order to meet customers’ needs. It has a symbiotic relationship with Chippenhook, a company that manufactures jewelry boxes, and works with Hera Lighting, Angelo Lighting and Morel Distributors, EIKO Ceiling Systems and ADI Accousticals. Its 75,000-square-foot facility provides enough production area for the company to work on 16 to 18 projects simultaneously. As a job progresses, the client is kept informed with photographs sent via e-mail. In addition, each job is temporarily assembled in the shop, giving the customer an opportunity to see the completed job before it is shipped and installed. ARTCO currently employs 49 people, including six design architects. Also, there is a special installation crew which MiÃÆÃÂ±agorri calls “the Michaelangelos of installation” who are called upon for specialized situations. “They are the ones who make sure that in the end everything fits just right,” he says. Routine installations are done by the woodworkers who build the fixtures, and MiÃÆÃÂ±agorri says that for them to be able to see the job all the way through to the end is a good motivating factor for excellent workmanship. It also gives them an opportunity to travel to some interesting places, which is an extra benefit, he adds. Over the years, ARTCO’s woodworkers developed another specialty — making fixtures that can withstand sustained water damage. This involves several variables, such as using the right glue, careful selection of the wood, and certain laminating techniques. Also useful is the company’s ability to reproduce customers’ logos in a variety of mediums, MiÃÆÃÂ±agorri says, which it does using a Roland sign maker. 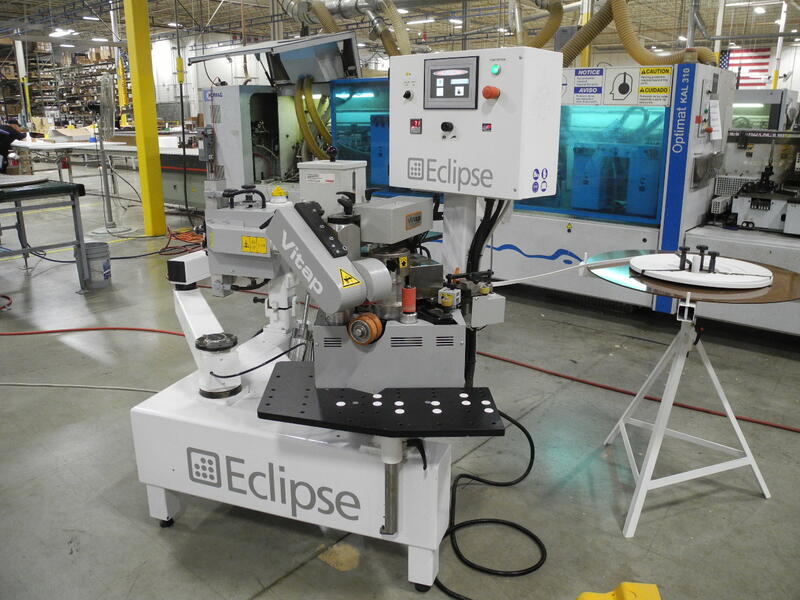 Other equipment includes a 10-foot by 15-foot drying booth manufactured by Prime Heat, Performax belt sanders, Rockwell and Delta table saws, Jet planers, Quickwood moulding sanders, a Midway Automation GS 214 board laminating system and a panel/router saw from Safety Speed Cut. ARTCO works closely with glass and lighting suppliers to create its jewelry displays, such as in this 1,000-square-foot store in Aruba. But besides the equipment, MiÃÆÃÂ±agorri believes that one important reason that the company has been able to grow and prosper is because it is a good place to work. He says the company fosters what it calls “spirituality” in the work place. “This comes from a belief that spirituality should be central to every aspect of our lives; it means that we pray together at ARTCO,” he says. ARTCO’s most recent growth also can be attributed in part to its focus on the niche markets of jewelry stores and duty-free shops. 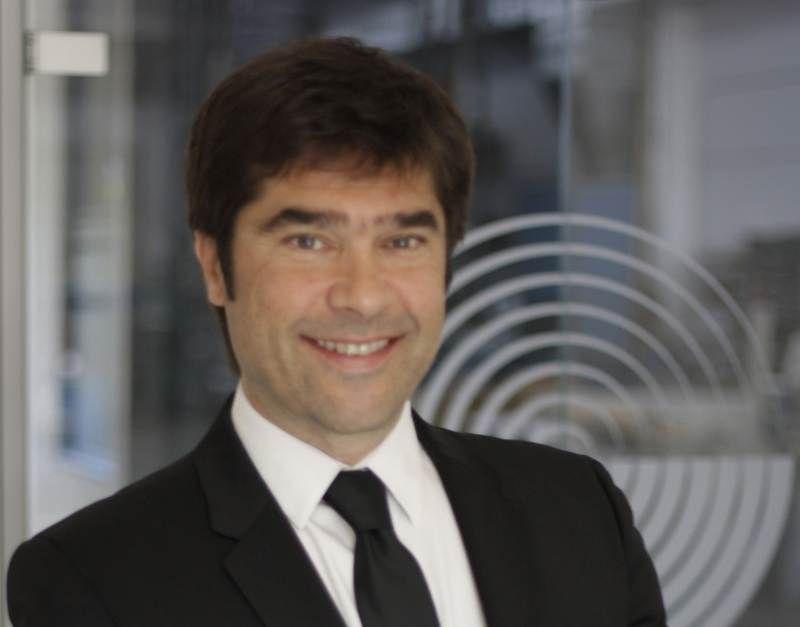 MiÃÆÃÂ±agorri attributes success in those markets to the company’s attention-getting designs. He says customers depend on ARTCO’s excellent design capabilities to create fixtures that go beyond displaying merchandise and actually engage the customer. This is particularly important to individually owned jewelry stores that are competing against huge chains. Inset wall displays, shelving and elaborate display cases, including some curved pieces, were built for this 4,500-square-foot, high-end watch, crystal and jewelry store in St. Thomas. Over the years, ARTCO has developed its client base by advertising in trade publications for the jewelry and duty-free industries and by exhibiting at their trade shows. During the past year, it had the honor of becoming the first company outside of the trade to be accepted as a member of the International Association of Duty-Free Shops, allowing it to exhibit separately at trade shows. MiÃÆÃÂ±agorri says this opportunity adds further momentum for growth. Also during the last year, ARTCO signed a significant contract with Aldesa, an international duty-free company based in Spain, for expansion into Mexico. ARTCO also has a long-standing relationship with Tiffany’s and recently was chosen to do the work for a new 1,100-square-foot boutique in Barbados, in addition to other projects already in the works. The company is also manufacturing fixtures for a Tiffany’s store within Universal Studios in Orlando, FL. MiÃÆÃÂ±agorri reports that despite the events of September 11, ARTCO has been able to increase its volume and profits, thanks to all these efforts. However, he adds that the company has worked carefully to control its growth for the past year, because it wants to ensure quality control and uphold its reputation for being on-time with a product that completely satisfies its customers.